The structured course helps to develop children into confident, independent writers. Using a variety of well-known authors, the book is designed to encourage children to read and understand every essential fiction and non-fiction text type. Each spelling rule from the Pupil Book is reinforced with a 'Look, Say, Cover, Write, Check' exercise and related activity. Progress units provide opportunities for assessment and consolidation. 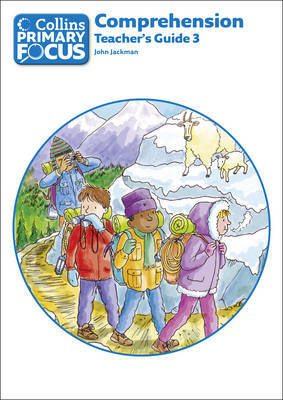 Collins Primary Focus: Comprehension Pupil Book 3 is aimed at ages 9+. Collins Primary Focus: Grammar and Punctuation Pupil Book 1 is aimed at ages 7+. Num Pages: 48 pages, col. Very good: A book that does not look new and has been read but is in excellent condition. Follow-up activities progress from literal questions to higher order thinking skills. A differentiated reading comprehension activity based on the poem the tyger by william blake a great resource to use alongside a poetry unit and a wonderful guided reading activity too. Dimension: 187 x 262 x 3. Using a variety of well-known authors, the book is designed to encourage children to read and understand every essential fiction and non-fiction text type. Dispatch times may vary for each item even if they are ordered at the same time. Presented in a clear and colourful format, each grammar concept is supported by visual cues. Progress units provide opportunities for assessment and consolidation. This write-in book allows children to build up their own dictionary for each letter of the alphabet. 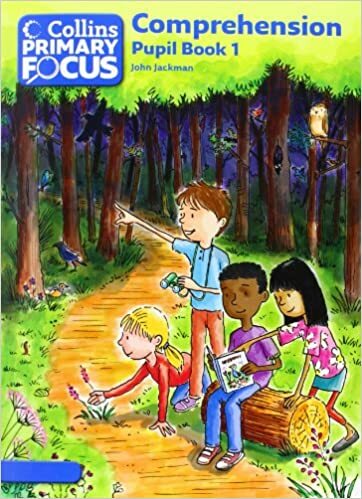 Collins primary focus comprehension pupil book 3 is aimed at ages 9 using a variety of well known authors the book is designed to encourage children to read and understand every essential fiction and non fiction text type. Progress units provide opportunities for assessment and consolidation. High-frequency words are used and learning is supported by examples and differentiated practice activities. Presented in a child-friendly design, each grammar concept is supported by visual cues. They were invisible beings, heard and seen only by the. Collins Primary Focus: Comprehension Pupil Book 4 is aimed at ages 10+. Using a variety of well-known authors, the book is designed to encourage children to read and understand every essential fiction and non-fiction text type. Each spelling rule from the Pupil Book is reinforced with a 'Look, Say, Cover, Write, Check' exercise and related activity. Three follow-up activities allow children to practise, develop and extend their understanding. This book provides in depth coverage of pure mathematics 2 3 for cambridge international as and a level mathematics 9709 for examination from 2020 onwards with a clear focus on mathematics in life and work this text builds the key mathematical skills and knowledge that will open up a wide r. Part of the Collins Primary Focus series. Example high-frequency words are provided for each letter, with the opportunity to practice these words and plenty of space for children to add their own on each page. Follow-up activities allow children to develop grammar and punctuation skills at different levels. A wide range of text extracts with supporting activities encourages critical thinking about texts - how to infer, deduct, compare and justify preferences. Progress units provide opportunities for assessment and consolidation. In each unit a focus introduces the spelling rule, which is clearly explained and supported by examples and visual cues. Presented in a clear and colourful format, each grammar concept is supported by visual cues. Collins Primary Focus: Comprehension Pupil Book 1 is aimed at ages 7+. This Grammar and Punctuation Pupil Book 1 is presented in a clear and colourful format, each grammar concept is supported by visual cues. If your order is still processing, that means that we are searching the world for your items! Each spelling rule from the Pupil Book is reinforced with a 'Look, Say, Cover, Write, Check' exercise and related activity. Using a variety of well-known authors, the book is designed to encourage children to read and understand every essential fiction and non-fiction text type. Collins Primary Focus: Comprehension Pupil Book 4 is aimed at ages 10+. Part of the Collins Primary Focus series. This write-in workbook is ideal for practice at home or in the classroom. . Three follow-up activities allow children to practise, develop and extend their understanding. In each unit a focus introduces the spelling rule, which is clearly explained and supported by examples and visual cues. No catches, no fine print just unconditional book loving for your children with their favourites saved to their own digital bookshelf. Using a variety of well-known authors, the book is designed to encourage children to read and understand every essential fiction and non-fiction text type. Collins Primary Focus: Comprehension Pupil Book 3 is aimed at ages 9+. Using a variety of well-known authors, the book is designed to encourage children to read and understand every essential fiction and non-fiction text type. Follow-up activities allow children to develop grammar and punctuation skills at different levels. Follow-up activities progress from literal questions to higher order thinking skills. Presented in a clear and colourful format, each grammar concept is supported by visual cues. This write-in workbook is ideal for practice at home or in the classroom. If your order shows as dispatched and hasn't arrived in the expected time, please check with your local delivery office before contacting us with the details. No obvious damage to the cover, with the dust jacket if applicable included for hard covers. Each unit is built around three distinct phases - Engage, Explore and Create - during which children move through a learning pathway that develops key literacy skills. Collins Primary Focus: Grammar and Punctuation Pupil Book 1 is aimed at ages 7+. This book is free for you. It supports children to recognise the link between letters and sounds and to think about the structure of simple words. With fiction, non-fiction and poetry by best children's authors for your class to read and explore, Collins Primary Literacy provides engaging activities matched to the Renewed Framework that will save you time and give you lots of ideas. Presented in a clear and colourful format, each grammar concept is supported by visual cues. Book Description HarperCollins Publishers, United Kingdom, 2011.